WASHINGTON, October 25, 2018 – The Air Force Aid Society (AFAS) has provided more than $6 million in hurricane disaster and relief assistance to airmen and their families across the Florida Gulf region following the aftermath of Hurricane Michael. 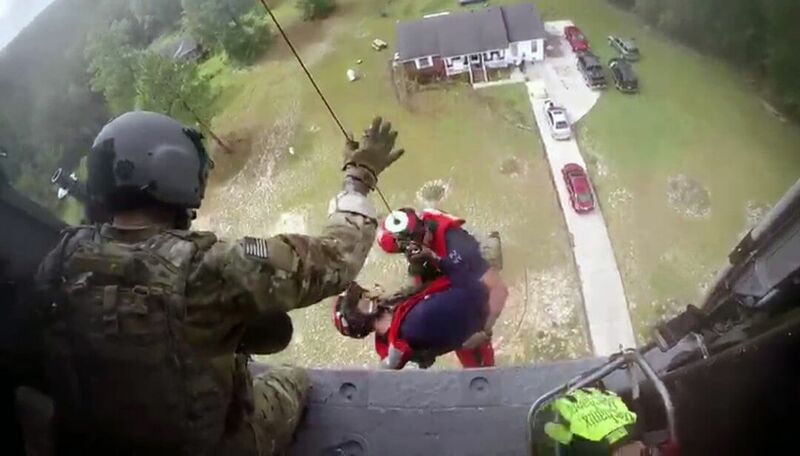 Thousands of Air Force active duty, retirees, guard, and reservists who were stationed in or near the hardest hit areas within the Florida panhandle who applied for emergency assistance, received one-time stabilizing assistance grants through the AFAS Hurricane Relief Program. Grant amounts totaled $750 for single airmen and $1,500 for airmen with families. Through partnerships with the Air Force’s Personnel Center (AFPC) Airman and Family Operations Division, the Airman and Family Readiness Centers (A&FRCs) across 85 Air Force installations, along with other military relief societies, and the American Red Cross, AFAS was able to render essential assistance to displaced Tyndall airmen and their families. While recovery efforts are underway, AFAS will continue to address the ongoing needs of airmen in the affected areas through the AFAS Emergency Assistance Program. The A&FRCs continue to be a focal area for rendering ongoing support. Therefore, airmen in need of assistance should visit A&FRCs at their nearest Air Force installations. In the event that there is no location within close proximity, airmen can apply for assistance at any nearby military installation. If an airman is not located within 50 miles of a military installation, they should contact the American Red Cross directly at (877) 272-7337. If you are interested in donating to help Air Force families impacted by Hurricane Michael, please visit afas.org. For the latest information regarding Hurricane Michael and AFAS disaster assistance, follow AFAS on Facebook and Twitter. The Air Force Aid Society is a 4-star Charity Navigator rated private, non-profit organization. Founded in 1942, the Air Force Aid Society’s mission is to help relieve financial distress of Air Force members and their families and assist them in achieving their educational goals and improving their quality of life by providing proactive programs. In 2017 alone, the Air Force Aid Society provided over $15 million to more than 45,000 airmen and their families through emergency assistance, educational and community programs. Headquartered in Arlington, Va., the Air Force Aid Society administers assistance through Airman and Family Readiness Centers around the world and maintains cross-servicing agreements with the Army Emergency Relief, the Navy-Marine Corps Relief, the Coast Guard Mutual Assistance and the American Red Cross to offer emergency assistance 24 hours a day, 365 days a year. To learn more about the Air Force Aid Society, please visit afas.org or follow us on Facebook at www.facebook.com/AirForceAidSociety or Twitter at https://twitter.com/AFASHQ.